The latest film from the DC Universe's stable, Wonder Woman sees Gal Gadot portraying the daughter of Zeus as she makes her way through the barren landscape of World War I-era Europe. To some extent, her origin story's basic elements does remind one of Marvel's Captain America. Whose first film sees Chris Evans in World War II. But that's where similarities end. Right off the bat: The film is amazing, the story is rock solid, the visuals appealing, and the soundtrack is perfect. Perhaps the only criticism with the film is that there is no post-credits scene so we had to wait for a minutes for the complete credits to roll. But then again, this isn't a Marvel film. And it is a wise move by DC to have their own way of telling a story. Perhaps, one of the best parts of Wonder Woman is the fact that it narrates a hero that is indeed larger than life (Diana is as diety as it can get). 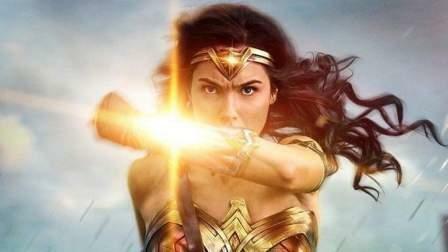 The film presents this in such a way that every montage of Wonder Woman is an exemplification of her power and her prowess as a woman warrior. That is also another aspect worth touching upon. The film doesn't apologies with its period-correct presentation of patriarchy where Gadot is seemingly relegated to the sidelines during the London scenes. But then the rest of the film is a wonderful exhibit of girl power - in every sense of the word. Step back boys, because this film shows how a woman can lead battles, move mountains, and make a mark in the world. It is worth noting that Diana is a very nuanced character. She's not just a weapon in the form of woman. She's also presented as a sheltered child, a woman with her first bout with love, and as an intellectual. Wonder Woman is not just a superhero film; it is a glimpse into the life of one. Lastly, the film carries a strong anti-war message. The slow-moving moments when guns aren't being shot and the action dials down is very neatly done. Overall, and I repeat - DC has finally learned their lessons and it just makes me as an audience happier that they've done it with their outing of Wonder Woman.